A bold new initiative launched recently to examine the future of food and the challenges facing our country in terms of health, health care, the environment and our food systems. Reworking the approach to a challenge often leads to a solution. When the road less taken is collaborative and joins experts from diverse specialties, it can be either a disaster or a recipe for real creativity and problem solving. In the case of the inaugural 2013 Menus of Change National Leadership Summit, it was a formula for what presenter June Jo Lee, MA, vice president of strategic insights for The Hartman Group, Inc., called culture bending. The event, a joint initiative of the Culinary Institute of America® (CIA) and the department of nutrition at Harvard School of Public Health (HSPH), put intense focus on the business of healthy, sustainable and delicious food choices. Framed that way, it sounds simpler than it is, especially since food may well be the most complex social issue of our time. Held June 10-12 in Cambridge, Massachusetts, the summit convened 300 public health educators and academics, professional chefs, restaurateurs, food scientists, investors, and individuals representing major food companies and food governing boards. These somewhat strange bedfellows spent 2-1/2 days in think tank mode discussing the convergence between public health, environmental and social imperatives, the culinary arts and innovation within the business of foodservice. The story between the lines, however, was how the American obesity epidemic—the most dire health crisis of our time—ties to food and what change this collection of experts might be able to effect. "It has been exciting to see the leaders from different sectors—foodservice, the environment, nutrition science and busines—interact with such drive and commitment," said Tim Ryan, EdD, CMC, and president of the CIA. "Menus of Change is helping them find common ground at the intersection of some of the most pervasive issues that face our industry and our world, and we are setting a meaningful course of action toward solutions." The timing of the conference was prescient without meaning to be. Just 1 week later, the American Medical Association declared obesity a disease, a controversial move that essentially means 1/3 of US adults and 17 million American children are sick and require medical treatment. The role of food in this drama is powerful and will be fascinating to watch unfurl. Much of the conversation at this event could prove to be pivotal in the way we approach the challenges before us. As an industry we have much to explore in this realm and we have distinct scope of practice lines to mind, but we have an amazing opportunity to effect change. By joining with public health officials, chefs, nutrition professionals, those formulating our food, and by being aware of the social and environmental responsibility we all have as world citizens, perhaps we we can directly affect the outcome. Central to the conference’s program was the first Menus of Change Annual Report and State of the Plate dashboard, co-created by CIA and HSPH. Its GPS-like narrative discusses the reshaping of the food industry by concerns about obesity and healthcare costs, how food is produced and sourced, and our declining global resources. The report includes a 13-point analysis of issues at the convergence of public health, the environment and the business of food. Developed in collaboration with leading scientists and business experts—the initiative's Scientific and Technical Advisory Council (chaired by Walter Willett, MD, DrPH, department of nutrition at Harvard School of Public Health) and Sustainable Business Leadership Council—the report provides evidence-based strategies for foodservice executives. Its "Principles of Healthy, Sustainable Menus" section gives business leaders guidance to navigate game-changing food-related issues. "This first report presents the base and structure for the viable tracking of dietary quality in America," said Willett. "We will continue to research, review and report on these important health and environmental issues, explore strategies, and offer promising solutions to food-linked environmental challenges, unacceptably high obesity and chronic disease rates, and other public health imperatives." 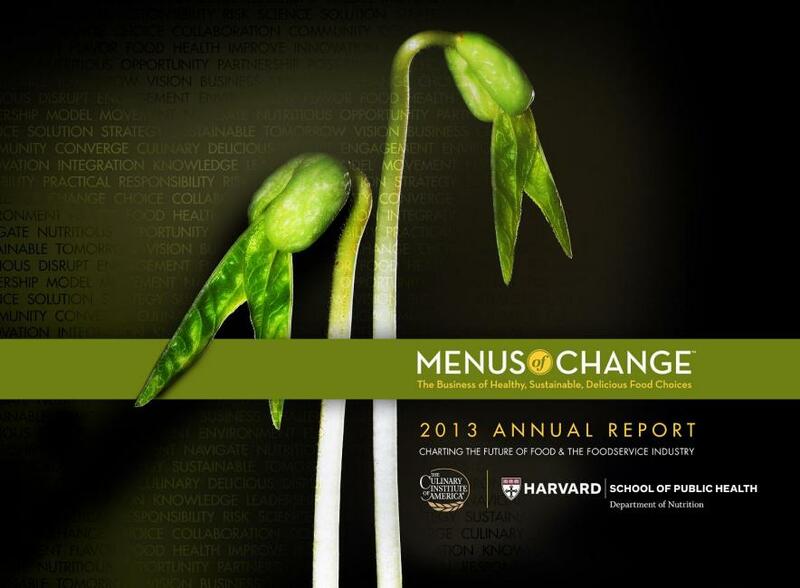 Links to the Menus of Change 2013 Executive Summary and Annual Report are available on www.menusofchange.org. Presentations/slide shows from the summit also can be found there. Send thoughts, feedback, insights, challenges and success stories to info@menusofchange.org. 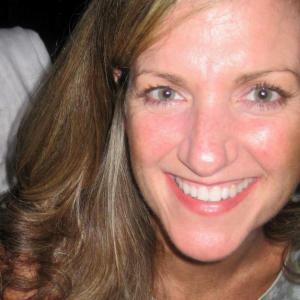 Follow author Sandy Todd Webster @fitfoodeditor and @fitnesseditor. An expanded feature story on Menus of Change will appear in the September issue of IDEA Fitness Journal. Want more from Sandy Todd Webster?